After being put on trial by his own people, the Time Lords - and having been forced to attend to some missions for them they officially wanted to avoid being associated with - The Doctor's punishment for all the meddling he has done is a forced regeneration and to be exiled on Earth with his knowledge of how to operate the TARDIS removed (As well as at least some of his knowledge of Earth's future from the date of his exile onwards ("The Devil Goblins From Neptune")). After recovering. in hospital, where it is disclosed that he has 2 hearts, a pulse of only 10 beats a minute and non-human blood, The Doctor finds himself in an uneasy alliance with the British branch of the United Nations Intelligence Taskforce (UNIT), led by his old friend Brigadier Alistair Gordon Lethbridge-Stewart (Who he first met during the second major attack of the Great Intelligence ("The Web of Fear") before UNIT was officially established ("The Invasion"), while dealing with the first assault against Earth by the Nestene Consciousness and its Auton agents ("Spearhead From Space"). With the crisis concluded, The Doctor agreed to accept a position as Scientific Advisor for the newly-formed 'anti-alien' organisation in exchange for access to materials that might allow him to repair the TARDIS. Cross with his own people The Doctor's main priority is to get his TARDIS working again, primarily joining UNIT in order to gain access to the materials necessary for him to repair the ship's damaged components. However, due to the many alien threats and invasions that UNIT became involved in, The Doctor's focus on the TARDIS often had to be put aside in favour of aiding the Brigadier in resolving the latest crisis, ranging from investigating odd events at a power plant ("Doctor Who and the Silurians") to providing security for vital peace conferences ("The Mind of Evil" and "Day of the Daleks"), as well as more obvious potential threats such as a stolen Nestene pod ("Terror of the Autons"). Despite this, The Doctor's dedication to Earth remained evident even on occasions where its sacrifice would have allowed him to regain his ability to travel through the galaxy ("The Claws of Axos" and "Verdigris"), reinforcing his refusal to allow others to suffer when he could prevent it. During this period of the shows history the viewer was presented with many fast vehicles, thrilling high speed chases, lots of interesting gadgets, Jon's passion for flamboyant clothes and his piercing face of tremendous mobility. (After his regeneration the Third Doctor commented that his new face would be useful on Delphon where the inhabitants communicated with their eyebrows). He dressed very gaudily in a frilled shirt and a velvet jacket, varying the colour of his attire throughout his life while retaining the same style, and was described as 'A Dandy,' by his first incarnation and 'Fancy-Pants,' by his second. He enjoyed the finer things of life, including good food and fine wine and he relished in the task as an 'Inter-planetary Crusader', once reflecting that the dignity and character of this incarnation made his adventures in this life the most fun he'd had since his early days before he started at the Academy ("Interference: Book One"). With the TARDIS immobilised, The Doctor spent a great deal of his spare time with UNIT trying to repair the ship or escape his exile. Although he was able to get the TARDIS working on his own when dealing with the time-twisting attack of the Sild ("Harvest of Time") and the powerful Chronovore Kronos ("The Time Monster"), as the power of these entities disrupted the security protocols the Time Lords had used to stop the TARDIS working, his efforts to create a new dematerialisation circuit for the ship with contemporary technology met with only limited success, his efforts to time-travel using the console after it had been removed from the ship resulted in him accidentally travelling to a parallel universe ("Inferno"), and one attempt to create a time bridge nearly changed history so that Earth was conquered by alien criminal Brokk in 1936 ("The Eye of the Giant"). However, even with the TARDIS unavailable, The Doctor still utilised various alternative means of transport, including speed boats, hovercrafts, a gyrocopter, and the car known to fans as the Whomobile, a strange saucer-like vehicle with the ability to fly that he apparently developed himself. However, The Doctor's most famous vehicle was a souped-up bright yellow Edwardian roadster, equipped with such diverse technology as an anti-theft force field ("The Ambassadors of Death"), a remote control unit allowing him to drive from a distance ("The DÃ¦mons"), and a minimum inertia hyperdrive allowing him to drive at breakneck speeds with no danger to himself or others ("The Time Monster"). Acquired as The Doctor's only real request after he joined UNIT - having briefly stolen a similar car to escape the hospital after his regeneration and developing a fondness for it - he nicknamed the car 'Bessie' and used her as his regular means of transport during his exile and employment with UNIT, describing her as a car with character even as his colleagues expressed some scepticism at Bessie's ability to get around on the road ("The Ambassadors of Death"). His brilliance and love of gadgets meant that he was always tinkering together numerous items to create an outlandish device to deal with whatever menace he was currently facing, once even cobbling together a Time Flow Analogue from a wine bottle, forks, a corkscrew, a coffee-maker, a bunch of keys, a bottle of ink and a cup of tea to disrupt the Master's attempt to use the TOMTIT machine ("The Time Monster"). He was also shown coming up with various other gadgets to overcome his enemies, one occasion notably seeing him forced to use a time bomb - a dangerous weapon normally outlawed by most civilisations capable of creating it - simply because he saw no other way to stop the powerful Xhinn ("Amorality Tale"). He was also rarely without his trusty sonic screwdriver, which he could always depended upon to get him out of trouble, and is well-remembered for his catch phrase of 'Reverse the polarity of the neutron flow' (Although he is only recorded as having said this once). He also showed a slight fondness for conjuring tricks in this body, such as producing a bunch of flowers from nothing ("The Three Doctors") or hypnotising a member of an Irish gang into letting him go ("Amorality Tale"). Whereas William Hartnell and Patrick Troughton played the part of The Doctor more as a thinker, and so leaving the rough stuff to the younger male companions, The Third Doctor was much stronger, more athletic and more of a man of action, always ready to tackle the villains in person especially with his flair for Venusian Aikido (Allowing him to disarm and disable his foes with just a touch); a particularly impressive feat, as many incarnations have later noted that Venusian martial arts are very difficult for a creature to master when they only possess two arms. Although more physically capable than his other selves, The Doctor still retained his preference not to kill, attempting to negotiate with the Silurians and the Sea Devils despite the danger ("Doctor Who and the Silurians", "The Scales of Injustice" and "The Sea Devils"), and even trying to appeal to Omega's reason even as he saw evidence of how insane his old hero had become ("The Three Doctors"). Despite this, he was shown to quickly take up a gun when he was being attacked by relentless Ogron agents of the Daleks as he knew that he couldn't hope to reason with or disable them ("Day of the Daleks" and "Frontier in Space"), although he resorted to less lethal measures when attempting to escape human guards, such as when he had to flee Irongron's fortress after his confrontation with the Sontaran Linx ("The Time Warrior"). Despite his ability to be authoritative and rebellious at the same time in this body, often demanding results from others - once even managing to convince versions of his colleagues from a parallel universe to aid him in saving his world from the threat facing theirs despite the inevitability of their own deaths ("Inferno") - he retained his natural compassion, and he always tried to see the viewpoint of others, even giving his old enemies the Ice Warriors a chance to prove their innocence when investigating a murder on the planet Peladon despite his negative history with them ("The Curse of Peladon"). While he could be compassionate for others, assuring a Thal soldier that courage was being frightened and taking action rather than rejecting fear completely ("Planet of the Daleks"), he could be roused to a cold, firm anger when faced with the right provocation, risking his life to inform the governor of an alternate Earth colonised by the Daleks that he was nothing but a coward for his collaboration ("Day of the Daleks"). This anger could also be directed at particularly stubborn, self-centred, or close-minded people, The Doctor once informing a man attempting to interrogate him about his role in Draconian attacks on Earth that his interrogator had 'the most totally closed mind [he had] ever encountered', the man so blinded by the belief that the Draconians were responsible that he was ignoring The Doctor's insistence to the contrary (The cold war turned out to be a Dalek scheme to turn Earth and Draconia against each other) ("Frontier in Space"). The Doctor's duty to the web of time could also take precedent over his compassion at times; when he encountered the infamous Rasputin ("The Wages of Sin"), even as he came to recognise that history's portrayal of Rasputin as a monster was wrong, The Doctor was forced to let Rasputin die to preserve history when he had a chance to save him (Although he was willing to bend the rules when faced with a serious enough threat, such as The Sild's attempt to abduct the Master for their own ends requiring The Doctor to destroy the same spaceship twice ("Harvest of Time")). He was always concerned for the well being of those around him especially his female companions, once hesitating to destroy The Master's TARDIS to break his control of the powerful Chronovore Kronos as that action would have killed the currently-imprisoned Jo Grant as well ("The Time Monster"). Like his predecessors all life was important but now he was more willing to put his own life on the line when things got dangerous, willing to take action himself as much as expect results from others. However, this desire to inspire others could be at odds with his own ego, with the result that his initial assistant at UNIT, Liz Shaw, chose to leave because she felt that she was surplus to requirements given The Doctor's own intellect, The Doctor expressing regret that they hadn't managed to spend much time together outside of work even if he accepted her decision ("The Scales of Injustice"). Despite his initial dissatisfaction with Liz's replacement, Jo Grant - The Doctor feeling that he should have a more qualified assistant while the Brigadier noted that all The Doctor needed was someone to pass him his equipment and remind him of his own brilliance ("Terror of the Autons") - The Doctor and Jo soon became very close, with Jo becoming almost like a daughter to him as they faced such threats as The Master, the Daleks, and the Chronovores amid The Doctor's efforts to teach Jo more about science and the wider universe, and he was truly sorry when she left him to get married. This Doctor's compassion even extended to the Master, who became his most recurring adversary during this incarnation after their brief meeting in The Doctor's previous life ("The Dark Path"), the Master being briefly stuck on Earth with The Doctor after The Doctor stole his TARDIS's dematerialisation circuit ("Spearhead From Space") and conducting various plans on Earth even after retaining the circuit with the primary goal of tormenting The Doctor. Although morally opposed to each other's methods, the two treated their conflict as an almost friendly rivalry at times, willing to talk with each other even as the Master commenced his latest plans for world conquest; when they engaged in a duel while the Master was trying to escape, The Doctor even allowed the Master to retrieve his weapon at one point and nonchalantly paused to eat a sandwich during the struggle ("The Sea Devils"). While not as open about his friendship, the Master seemed to reciprocate this 'affection', once visiting The Doctor at Christmas simply to talk with him (Planting easily-discovered bombs and surveillance devices around UNIT HQ for no apparent reason other than to keep up appearances) ("Short Trips: Christmas Truce"), as well as notably offering to share power with The Doctor as he sought the legendary Doomsday Machine on the colony world of Uxarius, although The Doctor rejected the offer as he proclaimed that he wanted to see the universe rather than rule it ("Colony in Space"). This habit of bantering with his enemies was a common trait of this incarnation, with The Doctor managing to strike up civil conversations even with known foes such as supercomputer BOSS ("The Green Death"), his encounters with the Silurians made all the more tragic as his efforts to establish a reasonable dialogue with them were all too often thwarted by the fear and haste of his human allies ("The Sea Devils"). The Third Doctor's sense of humour and comic timing could ridicule the many pompous bureaucrats he came across. However, his intolerance of fools, especially those who did not heed his warnings and his greater dislike of authority often got the better of him, such as when he once stated 'I sometimes think that the term "military intelligence" is a contradiction', with the Brigadier often having to intervene to smooth things over. Even though The Doctor and the Brigadier had their share of disagreements and The Doctor would be quick to criticises or take advantage of the Brigadier they soon became the best of friends, forming a bond that would endure through all of The Doctor's future incarnations no matter how else The Doctor s might change. Although the two still had their share of disagreements even in this body, such as when the Brigadier destroyed the Silurian colony to prevent potential future wars ("Doctor Who and the Silurians"), and The Doctor occasionally teased the Brigadier's limited understanding of his ability to travel in time ("Colony in Space"), the two generally became very close over time, The Doctor assuring others that the two were the best of friends despite their arguments while the Brigadier admitted that he wouldn't want to cope without The Doctor ("The Eight Doctors"). In many ways, in a somewhat ironic touch, his affiliation with UNIT, although initially a reluctant one, made The Doctor a far more authoritative figure than ever before, as he could now actually demonstrate that he had official authority to get involved in the crisis that he now had to deal with (Although The Doctor has taken to using psychic paper to get around that problem since his ninth incarnation ("The End of the World")). The Doctor did mellow over the course of time, accepting those brief occasions where the Time Lords sent the TARDIS to other planets on missions for them with calm acceptance rather than the hostility he had displayed for them in the beginning, simply grateful for the chance to see other worlds regardless of how limited the opportunity was (Most likely used to such treatment from them after they used his second incarnation in a similar manner between his trial and his exile ("World Game")). Despite those occasions where he assisted them in some crisis or another - such as when they sent him to the planet Peladon during a conference to decide whether to admit it to the Galactic Federation ("The Curse of Peladon"), when they sought his aid in preventing The Master gaining control of the Doomsday Weapon ("Colony in Space"), or when they needed him to deliver an object to a planet where the natives and colonists were being mutated as part of a native life cycle ("The Mutants") - his exile was only lifted when the Time Lords themselves were directly threatened by the insane ancient Time Lord Omega. After The Doctor managed to defeat Omega with the aid of his previous two selves, the earlier Doctors were returned to their proper places in time, prompting the Time Lords to acknowledge that The Doctor had been right to interfere by releasing releasing him from his exile and allowing him to wander of his own accord through time and space once again. ("The Three Doctors"). Even after his freedom was restored, the TARDIS still seemed to regularly return to UNIT HQ, and The Doctor seemed happy that this was so, actually boasting about his status in UNIT when investigating missing scientists at a conference ("The Time Warrior"), suggesting that he had come to enjoy his position regardless of his earlier complaints. 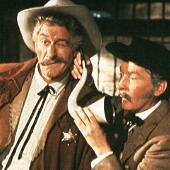 Despite his unorthodox attitude, The Doctor also won a great deal of respect from his colleagues in UNIT; when he was framed for bringing dinosaurs into the present by a group whose members included a general and the traitorous Captain Mike Yates, despite all the evidence against The Doctor, Sergeant Benton not only believed he was innocent but actually offered to be knocked out so that The Doctor could escape, The Brigadier subsequently disregarding a general's orders to recapture The Doctor to give his friend time to find the answers he sought. At the same time, The Doctor was clearly shocked at Yates's betrayal, demonstrating how highly he had valued the captain's friendship ("Invasion of the Dinosaurs"). Eventually, however, the Third Doctor's life came to an end when he was forced into a confrontation with the Giant Spiders of Metebelis Three, attacking Earth to claim the blue crystal that he had taken from their world as a souvenir as part of their own plans to enhance their mental powers. Despite The Doctor's fear of the death that awaited him, a meeting with K'anpo, his old teacher from Gallifrey, helped him accept that he had to accept responsibility for his role in bringing the Spiders to Earth, prompting him to confront the powerful Great One in its cave, tricking the enormous spider into subjecting itself to the mental force of a positive feedback circuit, even as he was subjected to a lethal dose of radiation at the same time. After apparently spending a decade drifting through the time vortex as the radiation consumed his cells ("Love and War"), the TARDIS eventually brought The Doctor back to Earth and the UNIT lab - only three weeks after his departure from their perspective - weakly explaining that the ship had brought him home before he collapsed. After K'anpo gave The Doctor's cells the necessary push to start the process, the Brigadier and Sarah were left to watch as The Doctor regenerated for the third time ("Planet of the Spiders"). (In an alternate timeline created by the time-travelling voodoo cult known as Faction Paradox, an encounter with his Eighth incarnation resulted in the Third Doctor and Sarah Jane Smith travelling to the planet Dust, where The Doctor regenerated after being shot by a defender of the planet who believed that killing him was the only way to ensure there would be no more danger brought to her world. As a result, The Doctor was infected by a Paradox virus when his immune system was occupied by the regeneration, the virus gradually mutating his system over his subsequent lives until, by the time of the Eighth Doctor, he would turn into an agent of the Faction. However, the TARDIS managed to preserve the 'true' timeline within itself - to the extent that the 'temporal ghost' of the Third Doctor that should have existed appeared in the TARDIS control room as the virus progressed, communicating with his future self to help him try and find a resolution for the crisis - until the Eighth Doctor managed to restore the reality that had been in "The Ancestor Cell" by draining the TARDIS's power and forcing the universe to 'choose' whether the Dust or the Metabelis regeneration was the third regeneration, thus resetting history back to the way it should have been). Even after his regeneration, this Doctor's skills in his various fields have continued to be admired and respected by his future selves. (Although his immediate successor dismissed him as an 'incorrigible show-off' ("Categorical Imperative") and the Fifth Doctor described him as 'arrogant and overbearing' ("Deep Blue"), they each appeared to be rather fond of the Third when looking back on that body). When the Sixth Doctor's morphic field was destabilised after a matter-duplicating entity drew the TARDIS into a pocket universe, causing him to shift between his past incarnations as his body tried to stabilise itself, he deliberately tapped into the Third Doctor's persona when he was called upon to engage in physical combat ("State of Change"), and when the Seventh Doctor was forced to disarm a cobalt bomb connected to his companion Ace's brain, he used the telepathic circuits to summon the persona of his third incarnation as he was uncertain about his own technical expertise in dealing with such a delicate piece of technology ("Timewyrm: Genesys"). While not as keen on gadgetry as the Third Doctor, later incarnations of The Doctor have also retained the Third's appreciation for Bessie, with the Fourth Doctor ("Robot"), the Fifth Doctor ("Deep Blue"), the Seventh Doctor ("Battlefield") and the Eighth Doctor ("The Dying Days") all enjoying the chance to take Bessie for a new spin during later reunions with UNIT, even if they were content to leave the car with The Brigadier after the Third Doctor's regeneration and the Fourth's subsequent departure from UNIT rather than take the car with them. The Third Doctor's exile also remained a sore point with his other selves for some time; even after Gallifrey's apparent destruction ("The Ancestor Cell" and "The Day of The Doctor") and his own century of self-imposed amnesic exile to Earth ("The Burning" and "Escape Velocity") the Tenth Doctor still hadn't forgiven the Time Lords for confining him in such a manner ("The Last Dodo"). The son of stage actor Roland Pertwee, Jon Pertwee was born on 7th July 1919 in Chelsea, London into a family with a long tradition of acting. After growing up in a backstage atmosphere, and after a number of school productions, he joined RADA in 1936 but was latter expelled. He then worked in repertory theatre and then as extras in various films initially as walk-ons and then in 1939 in speaking roles. When the Second World War started he joined the Royal Navy as an Ordinary Seaman. At one point he was drafted onto HMS Hood, a large battle cruiser, but was transferred to train as an Officer Cadet just before it confronted the Bismark and was sunk. 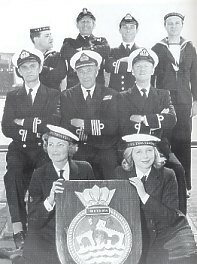 During his whole time in the Royal Navy whenever it was possible he continued theatrical work to amuse his fellow service men and in 1946 he joined the cast of HMS Waterlogged, the Naval edition of Eric Barker's radio show Mediterranean Merry-Go-Round, this subsequently became the spin off radio show The Waterlogged Spa in 1948. This radio show proved an ideal medium for Jon as it allowed him the opportunity to excel in the many varied voices and characters that he had come across during his time in the Royal Navy. After leaving the Royal Navy various theatre, film and radio work followed and he gained his first star billing in 1955 in the film Will any Gentleman? which also included William Hartnell. It was also in 1955 that he married actress Jean Marsh but due to their very busy acting schedules this marriage only lasted for a short time. Jon then married Ingeborg Rhoesha, a German dress designer, in 1960. In 1959 he was invited to recreate more of his wartime experiences and to demonstrate his amazingly flexible voice in the comedy radio series The Navy Lark which ran for nearly 20 years. He continued to work in theatre and this included West End stage productions of A Funny Thing Happened on the Way to the Forum in 1963 and the long running comedy There's a Girl in My Soup in 1966. Also during the sixties he appeared in three 'Carry On' films; Carry On Cleo in 1964, Carry On Cowboy in 1965 and Carry On Screaming in 1966. He was also in the 1967 episode of The Avengers "From Venus With Love". When, in 1969, he heard that Patrick Troughton was planning to leave Jon phoned his agent, even though he thought that it was very unlikely that he would even be considered for this more serious role, to put himself forward for the part. It was discovered when his agent contacted Peter Bryant, the then Producer, that Jon's name was already at the top of the list of actors that had been thought of as suitable for the part. Jon ended up playing the part of the Third Doctor for five action packed years from "Spearhead From Space" in 1970 to "Planet of the Spiders" in 1974. He played the part as himself and he even insisted on doing many of his own stunts. Despite the fact that it was now being broadcast in colour he gave the programme a new image and a new lease of life and his presence certainly raised the public's awareness of the programme. So popular was the programme at this time that he was to have appeared in the London stage play Doctor Who and the Daleks and the Seven keys to Doomsday, which was specially written for him by Terrance Dicks, but was prevented from doing so by other work commitments. After Doctor Who he continued to work on stage, radio, in films and on television. He hosted a quiz show for Thames TV called Whodunnit in 1976. 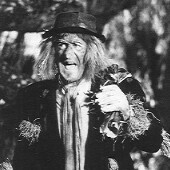 And then Worzel Gummidge in 1976 to 1978 a part for which he became equally famous for. When Southern Television lost its franchise. Jon was determined that it should continue so he managed to secure a deal for further episodes to be made in New Zealand. Other Films include The House That Dripped Blood in 1970, The Navy Lark in 1973, One of Our Dinosaurs is Missing in 1975 and another Carry On film Carry on Columbus in 1992. Other television appearances include This is Your Life in 1971, The Goodies in 1975, Superted in 1984 and The Young Indiana Jones in 1994. He also appeared in the stage show Scrooge - The Musical in 1992 to 1993. He also made a number of successful Music for Pleasure LP records and he even recorded a version of the Doctor Who signature tune in 1972. Jon returned to the role of the Third Doctor again in the 1983 20th anniversary story "The Five Doctors", the stage show The Ultimate Adventure in 1989 and also in two radio plays The Paradise of Death in 1993 and The Ghosts of N-Space in 1996. He also presented or appeared in a number of BBC Videos including The Troughton Years in 1992 and The Pertwee Years in 1993 and also audio adaptations of some of his stories. He also appeared in the Reeltime Pictures documentary Return to Devils End in 1993 and a couple of the BBV Video productions including The Airzone Solution along with Peter Davison, Colin Baker, Sylvester McCoy and the Sixth Doctor's assistant Nicola Bryant in 1994. During this time he spent several years, on and off, touring the United Kingdom with his one-man show Who is Jon Pertwee? in which he would reminisce about his time in Doctor Who and reveal anecdotes about his acting career. In 1996 he co-wrote, along with David J Howe, the book I am The Doctor - Jon Pertwee's Final Memoir in 1996. This book presented in print an appreciation of his time in Doctor Who from Jon Pertwee's viewpoint. It was also during this time that Jon Pertwee carried out his very last performance on television as the Third Doctor. This was for a publicity campaign by the mobile phone company, Vodafone who recruited him to take part in their television commercials. Jon Pertwee in his Doctor Who guise ensured that millions took notice. 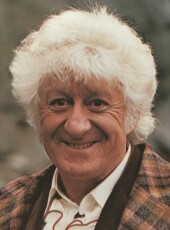 Unfortunately, Jon Pertwee died on the 20th May 1996 while on holiday in America. He was not only a distinguished cabaret artist, who delighted audiences throughout the British Isles, but a very talented performer whose appearances and varied voices gave pleasure to the whole world. The first ever monster to appear during the Third Doctor's era were the Autons. These walking mannequins, with guns in their wrists, were controlled by the Nestene Conscience who could also control anything made of plastic. In the second story they appeared in, "Terror of the Autons", even plastic daffodils caused many deaths and a telephone cable nearly strangled The Doctor. Other monsters and villains included the Silurians and their water based cousins the Sea Devils, Axos, Azal, Ogrons, Omega, Drashigs, BOSS, a Sontaran, Ice Warriors, the Giant Spiders of Metabelis 3 and of course the Daleks. However, the Third Doctor's greatest foe was the renegade Time Lord known as The Master. Despite the many attempts The Master had in humiliating The Doctor the Third Doctor could never quite bring himself to kill his arch enemy. This may have been because The Doctor would have found the universe too dull without The Master's constant provocation. Although the Third Doctor had several memorable adventures, possibly the one that is most remembered by fans is "Terror of the Autons". In this adventure, the Third Doctor not only meets his companion Jo Grant for the first time, as well as facing the Nestene Consciousness in a second confrontation, but goes on to battle The Master	for the first time in televised history, beginning the long rivalry that would so define so many future adventures for The Doctor and his companions.